Lenovo is planning to launch an Android-powered iteration of its popular IdeaPad laptop range, the Chinese manufacturer inadvertently revealed this week. 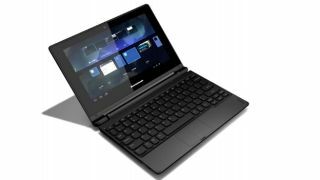 Prior to the official announcement on a date to be determined, Lenovo placed the user manual for the IdeaPad A10 notebook online for all to see. According to the manual (which remains online at the time of writing), the device will pack a 10.1-inch touchscreen, as well as dedicated Home, Back and Apps buttons on the screen and physical keyboard. It also reveals that the display will be able to rotate 300 degrees into Stand Mode, which will see the keyboard sit face down and enable better viewing angles for watching video or perusing photos. Other specs listed include a 1.6GHz quad-core processor from Rockchip, up to 2GB of RAM and up to 32GB of storage. It'll also have an HDMI port, microUSB port and a paltry 0.3-megapixel camera. The specs are mid-range to say the least, but the talking point here will be the presence of Android to complement the company's existing Windows 8 products. We've seen Android pop up on televisions, games consoles, smart watches and more, but laptops are in seriously short supply. Lenovo, however, is more willing to experiment than most other tech companies. Lenovo confirmed the IdeaPad A10's existence today and pledged official pricing and availability details in the near future. "The product has not been canceled. It will be going out to the market," spokesperson Chris Milward said. Is Lenovo planning to buy HTC and begin its long-rumoured smartphone takeover?